﻿ Ronaldo injury update: Can he recover in time for the World Cup? 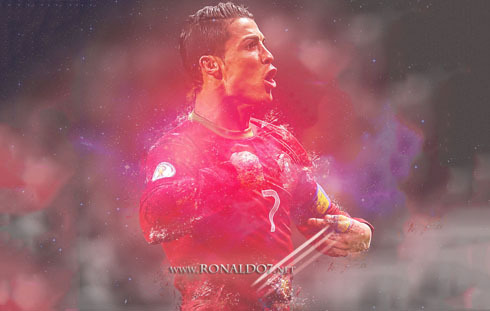 05.06.2014 » Ronaldo injury update: Can he recover in time for the World Cup? These have definitely been some of the most asked questions among football fans lately... Will Cristiano Ronaldo be able to recover in time for Portugal's World Cup debut against Germany on June 16? How serious is his injury? We bring you all the news and updates on this issue, now that it seems certain that Ronaldo won't be getting any playing minutes ahead of the World Cup. It all started last March 26, when Real Madrid visited the Sánchez Pizjuán for a league fixture against Sevilla and where Ronaldo showed the first signs of having some sort of physical problems. He played the whole game back in that day, but it was the first time we've seen him using a bandage around his left knee. It was reported by the Spanish newspaper "As" the day after the game (March 27), in an article where they've also made note that Ronaldo had played with pain, due to a tendonitis in the patellar tendon. On April 10 and after seeing Ronaldo already missing several games in a row for Real Madrid, the club issued a medical statement in which they reported that Ronaldo had an injury in his left biceps femoris muscle. We were in the middle of a critical stage of the season, with the Merengues still fighting in all fronts and with all the trophies at stake. Ronaldo ended up missing the Copa del Rey final against Barcelona just six days after that diagnostic (April 16), but returned in time to still help Real Madrid eliminating Bayern Munich in the UEFA Champions League semi-finals. As the season came closer to its end, Real Madrid was left with only one more objective to accomplish: winning "La Décima" on May 24. Once again, Ronaldo went through a special training plan in order to get to the Lisbon final in the best possible shape. It all worked out as planned and Real Madrid managed to defeat Atletico in a memorable 4-1 game, with the victory being achieved only during the extra-time period. However, and even though Cristiano Ronaldo played the whole game and still scored the last goal of the final from the penalty-kick mark, he has always been far from feeling comfortable on the pitch. Following the win in the Champions League final, Ronaldo had 4-5 days of vacations before joining the Portuguese squad in Óbidos (May 29), where the "Selecção" had already started preparing their World Cup campaign. He didn't step out of the gym in the first days though and he was naturally sidelined for the first friendly against Greece, on May 31. 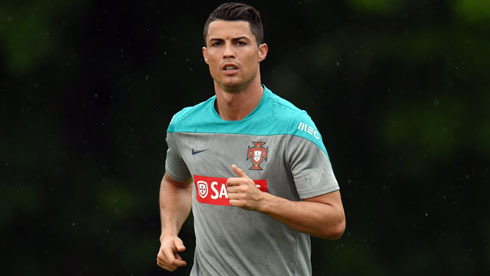 On June 2, Portugal flew over to the United States for the second stage of their World Cup "pre-season" and right in the next day, the Portuguese Football Federation issued a statement where they confirmed that Cristiano Ronaldo had a muscle injury in his left thigh and a patellar tendinosis also in the same leg. The injury diagnosis is obviously related to the physical problems that Ronaldo had started collecting by the end of March and with him already ruled out for this Friday's friendly against Mexico in Boston (and most likely also against Ireland on June 10), one can only expect that he still recovers in time for Portugal's debut in the World Cup against Germany, scheduled for June 16. This past Wednesday (June 4), Cristiano Ronaldo has finally performed a few training drills with a football on the pitch, which was the first time this occurred since he joined the Portuguese Team camp in Óbidos, on May 29. Portugal will keep in New Jersey until they face Ireland on June 10 and they will then fly over to São Paulo on June 11, where they'll mount their headquarters in Campinas, at the "Royal Palm Plaza Resort". Given all the medical information gathered from both Real Madrid and the Portuguese National Team over the past few weeks and knowing the true character of a footballer such as a Cristiano Ronaldo, we're truly convinced that the Portuguese star won't be missing his nation's first game in the World Cup, against Germany. Despite the seriousness of his injury, it doesn't appear to be something that completely prevents him from giving his contribute on the pitch. He forced it before in those big games in the UEFA Champions League against Bayern Munich and Atletico Madrid, so he'll most likely do the same when the time comes to make a decision, on June 16. 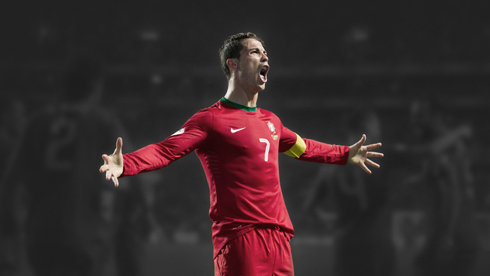 Anyway, you can mark these words: Cristiano Ronaldo will play in this World Cup! 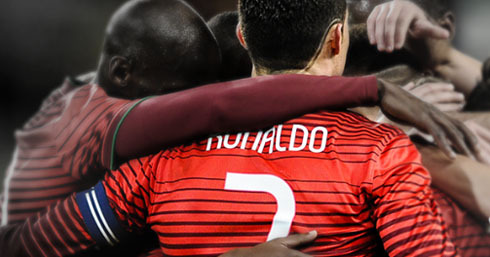 Cristiano Ronaldo next game will be a friendly between Portugal and Mexico, scheduled for this Friday night (June 6 of 2014), in Boston. You can watch Juventus live stream, Mexico vs Portugal, Spain vs El Salvador, Brazil vs Serbia, and Germany vs Armenia, all matches provided from our football live streaming pages.